works closely when needed with several partners. Global Economics Group—GlobalEcon provides independent, rigorous economic analysis in complex legal, regulatory and policy matters throughout the world. Market Platform Dynamics—MPD helps businesses implement the matchmaker strategy described Matchmakers: The New Economics of Multisided Platform, the recent best-selling Harvard Business Review Press book by David S. Evans and Richard Schmalensee. 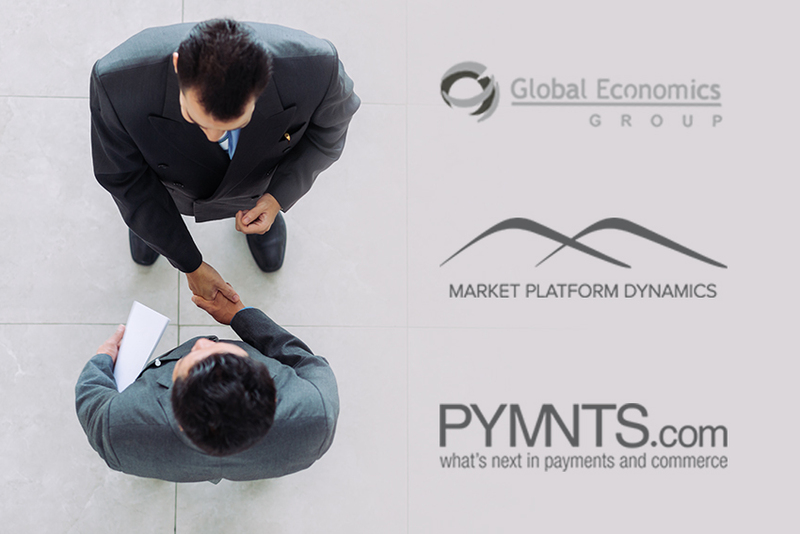 PYMNTS.com is the #1 source of information in payments and commerce and the media platform that C-suite executives, company founders and investors turn to for though leadership and to find out about What’s Next™.